Do you remember the fun you had at the little kids’ table? 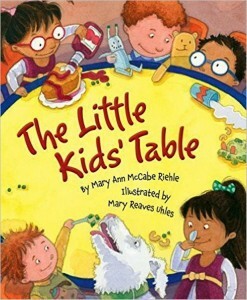 It’s okay if you don’t because author Mary Ann McCabe Riehle has penned a new picture book especially for that memory. It’s called The Little Kids’ Table and it’s absolutely adorable. The book opens with a big group of cousins and their parents coming to Grandma Mabel’s house for dinner. When they arrive, the tables are all “shiny and fancy,” but not for long. When grandma calls out, “Let’s eat,” the cousins scatter to find the best chairs. There’s scampering and bumping and even tears when one of the cousins hurts his leg. But the tears don’t last for long, either. The children immediately begin engaging in time-honored antics like hanging spoons off their noses, sprinkling peas in each other’s milk glass, and using ketchup to make funny “grins” on their food. 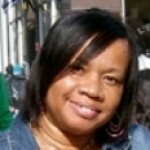 They squirt milk out of their noses, spill drinks, and open their mouths wide while they’re chewing. In other words, they do any- and everything to make each other laugh. What are the grown-ups doing while this is happening? Why, they are frowning and wagging their fingers…and wishing they were still young enough to sit at the little kids’ table. This is a sweet book that brings back all the memories of yesteryear. 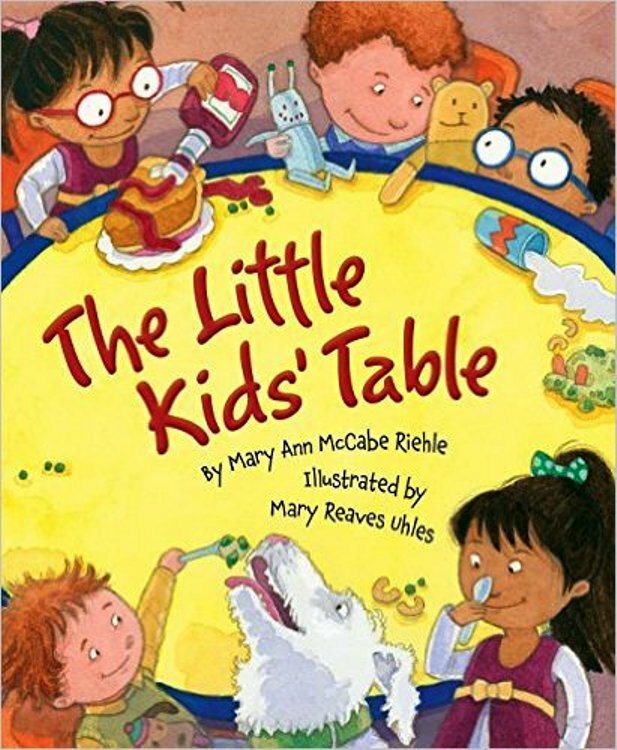 Whether at Thanksgiving, Christmas or a New Year’s Day dinner, the happening place to be was the little kids’ table, and artist Mary Reaves Uhles’ illustrations prove just that. She captures all the wide-eyed innocence and slap-stick hilarity that happens at the little kids’ table—and she does it with a rainbow of skin colors that proves this is one big, happy multicultural family. Ms. Riehle’s storyline is spot-on as far as what kids think and feel when they gather with family and let their imaginations run wild. Her meter is sometimes a beat or two off, but not enough to draw away from this wonderful book. This one is destined to be a hilarious family classic. Recommended especially around Thanksgiving, Christmas and birthday celebrations.